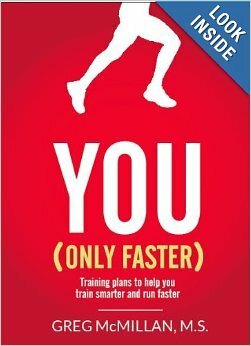 I think I’d love to get my hands on this book… You (Only Faster), by Greg McMillan. Speed isn’t a huge focus for me, but I always hear great things about this author! Have you read it? 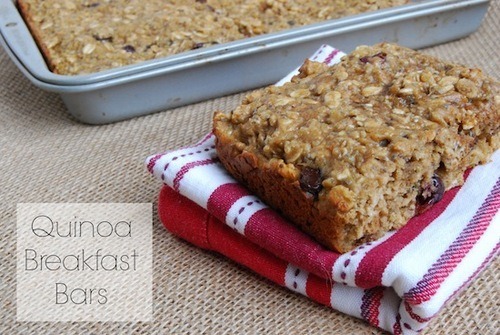 And what is this thing called a Quinoa Breakfast Bar? Sounds amazing – I’m in! I have all the ingredients in the house :-) Thanks to The Lean Green Bean (and all those who’ve been mentioning these online)! I keep seeing everyone snagging these I Run This Body shirts from Dorothy Beal of Mile Posts! Great shirt, great slogan! 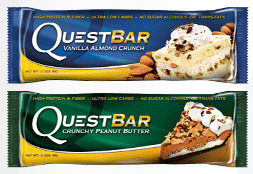 Everyone seems to be talking about Quest Nutrition Bars, but I don’t see a single natural, organic thing about them…? In fact, the ingredients are kinda gross (processed) in my world. What am I missing? 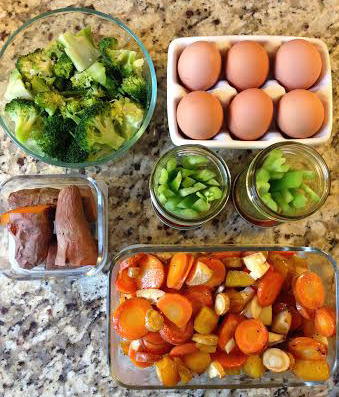 And lastly, I’ve been spying tons of posts about “food prep”, which is essentially dedicating some time aside on a Sunday to prepare all the good, healthy things you’ll eat during the week. Much more coming on this awesome topic from a good friend and guest blogger this Sunday morning! Well, those are five things sticking out to me these days while I’m relaxing and recovering on the couch! As always, I’d love to hear your thoughts!